A new contender when it comes to performance. In 1972, the Officine Abarth made the first Abarth 124. 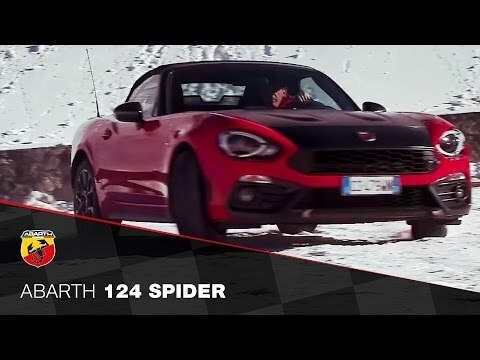 Today the new Abarth 124 Spider is born, a brand-new spider with the attitude of the Abarth Scorpion. A glorious past, a car that changed an era: the Abarth 124 rally picks up where it left, to recover its rightful place, competing with the greats. The new Abarth 124 rally returns in 2017 to star in the rallies that matter, to gain yet more successes and prestigious victories. History demands it. This is the place where the Scorpion cars are born: the Officine Abarth, where passion meets the highest manufacturing capabilities. The best engineers personally supervise every single aspect of design, development and production. Here, the uniqueness of each proudly signed Abarth is created. 1.4 170 HP MultiAir Turbo longitudinally mounted engine combined with the unmistakable sound of the Abarth Record Monza exhaust offers optimum power at all times. With the power supplied to the rear-wheels through the mechanical self-locking differential for greater traction, it delivers the acceleration and excitement you have come to expect from Abarth.